your student is about to experience an amazing, life-changing experience. Mission Trip is truly the best week of summer for an Elevate student. Every student is in a group of other students led by an adult leader. Each group serves at a local non-profit which could include retirement community, food pantry, children's daycare, and more. Each evening, Students gather together for programs with music, teaching and small group discussions. On these trips, students draw closer to God and one another. Students return changed spiritually and emotionally. This trip is a Group Week-of-Hope. 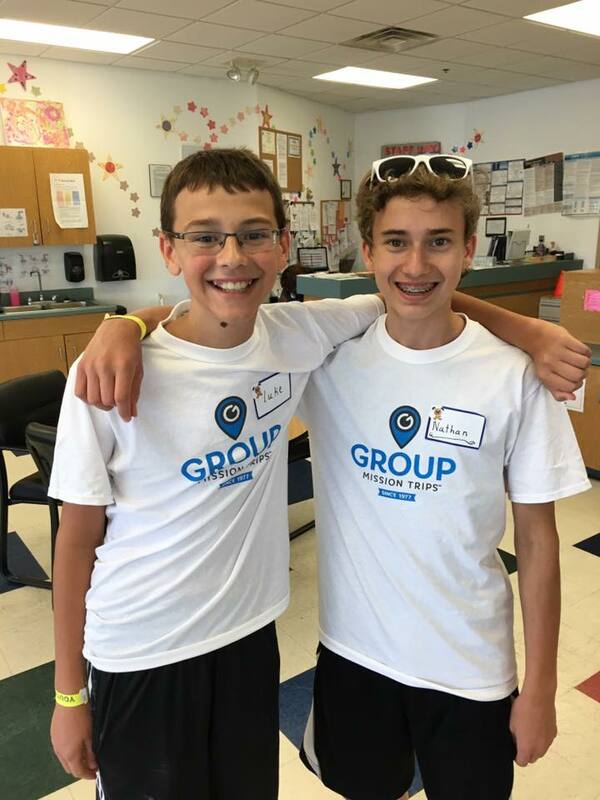 Group is an organization that has a been organizing teen-mission trips for 25+ years across the United states. Projects could range from serving at nursing homes, children’s day camps, minor home repair, local food pantries, orphanage, and more. A Week-of-Hope camp is focused on relationship building with the people we are serving.